Can GPs issue private prescriptions to NHS patients? The NHS prescription charge in England is currently £8.60 per item. At this level, many commonly prescribed drugs will cost less than the prescription charge and so some NHS patients may occasionally ask if they can have a private prescription rather than an NHS prescription. In the past, some GPs have been advised that they could issue both an NHS FP10 and a private prescription, and let the patient decide which to use. But the British Medical Association’s General Practice Committee has obtained legal advice that said under the current primary care contract, GPs in England may not issue a private prescription alongside or as an alternative to an NHS FP10 prescription. In any consultation where a GP needs to issue an FP10, the concurrent issue of a private prescription would be a breach of NHS regulations. The issuing of a private prescription in such circumstances could also be seen as an attempt to deprive the NHS of the funds it would receive from the prescription charge. Furthermore, for private prescriptions, the pharmacist is free to add a dispensing fee to the cost of the drug and so the patient might end up paying the same or even more than the NHS prescription charge for their private prescription. Finally, trying to explain NHS guidance on prescribing and its implications to the patient makes the issuing of a private prescription impractical in the time available. Hence, I would advise GPs not to issue a private prescription to NHS patients in place of an NHS FP10 prescription in these circumstances. This advice should be communicated to the other prescribers in the practice so that they all follow the same policy. Of course, the Department of Health could update its guidance and make it easier for NHS GPs in England to issue private prescriptions but there is no currently sign of this happening. This article was originally published in the medical journal, Pulse. I published an article in the British Medical Journal in August 2017 on NHS England’s plan to reduce wasteful and ineffective drug prescriptions. In the article, I explain why national rules on prescribing are a better approach than the variable local policies being implemented by clinical commissioning groups (CCGs, the NHS organisations responsible for funding local health services). The National Health Service (NHS) in England must produce around £22 billion of efficiency savings by 2020. 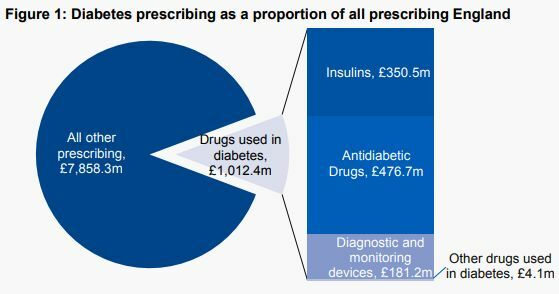 A key component of the NHS budget in England is primary care prescribing costs, currently around £9.2 billion annually. Inevitably, the NHS has begun to look at the drugs prescribed by general practitioners to identify areas in which savings could be made; ideally without compromising patient care or worsening health inequalities. This process was initially led by CCGs, focusing on drugs that are either of limited clinical value or which patients can buy from retailers without a prescription (referred to in England as ‘over the counter’ preparations). However, this local-based approach is flawed. Firstly, CCGs have no legal power to limit the prescribing of drugs by general practitioners. As CCG policies on restricting prescriptions are not backed by statutory guidance, this will inevitably lead to variation between general practitioners in the use of the drugs that CCGs are proposing to restrict, thereby leading to ‘postcode prescribing’. It also raises legal issues in that if there is a complaint about a refusal to issue a prescription, it will be the general practitioner who will have to defend any complaint made by the patient and not the CCG. Each CCG carrying its own evidence review, public and professional consultation, and developing its own implementation policy also results in duplication of effort and is a poor use of NHS resources. NHS England has now launched its own consultation process to identify areas where ‘wasteful or ineffective’ prescribing can be reduced. However, although a national process is better than local processes, NHS England has not stopped CCGs from continuing to roll-out their own restrictions on prescribing, even though some of these will inevitably conflict with the guidance produced by NHS England when it completes its consultation process. In its consultation document, NHS England proposes restrictions on prescribing for a range of drugs. Stopping prescribing in some areas – such as homeopathy and herbal remedies – will not be controversial but will also not save much money. Some other drugs that NHS England is proposing to restrict, such as liothyronine, have limited evidence for their benefits but some patients do find them useful, and there will be resistance from patients and from some clinicians about the proposed restrictions on their use. The two most controversial areas will be around NHS prescriptions for gluten-free foods, for which there was a separate consultation; and NHS prescriptions for drugs available over the counter. In the case of gluten-free foods, these are essential for people with coeliac disease and although gluten-free foods are now much more widely available from retailers than in the past, many patients with coeliac disease continue to receive NHS prescriptions and will resist strongly any restrictions on the availability of gluten-free foods through the NHS. For drugs available over the counter, for example treatments for headlice or hay-fever, many patients will be able to pay for them out-of-pocket. Some poorer patients though will struggle with the costs of buying such drugs. Restrictions on prescribing and the reduced availability of drug treatments on the NHS will have adverse consequences. For example, there is a risk of unintended effects such as codeine-based analgesics being used in place of simpler analgesics like paracetamol or Ibuprofen if the use of the latter is restricted. We also need to ensure that prescribing restrictions do not affect patients with very serious conditions. For example, if restrictions are imposed on NHS prescriptions of laxatives because these are available to buy from retailers, this will impact on patients with cancer, in whom constipation is a common and distressing symptom. 3. Phizackerley D. National approach to OTC prescribing is needed. BMJ 2017;357:j1849. 6. Kurien M, Sleet S, Sanders DS, Cave J. Should gluten-free foods be available on prescription? BMJ 2017;356:i6810. 7. Iacobucci G. NHS to stop funding homeopathy and some drugs in targeted savings drive BMJ 2017;358:j3560. 9. Majeed A. Shortage of general practitioners in the NHS. BMJ 2017;358:j3191. 10. Gleed G. Commentary: We’re under financial strain without prescriptions for gluten-free food. BMJ 2017;356:j119. 12. Iacobucci G. GPs urge BMA to explore copayments for some services. BMJ 2017;357:j2503. A paper published in the journal BMC Family Practice discusses the management of polypharmacy (the concurrent use of multiple medications by one individual). Because of ageing populations, the growth in the number of people with multi-morbidity and greater compliance with disease-specific guidelines, polypharmacy is becoming increasingly common. Although the correct drug treatment in patients with complex medical problems can improve clinical outcomes, quality of life and life expectancy, polypharmacy is also associated with an increased risk of adverse drug events, some severe enough to result in hospital admission and even death. Hence, having systems in place to ensure that medications are started only when there is a suitable indication, ensuring patients are fully aware of the benefits and complications that may arise from their treatment, and reviewing patients regularly to ensure their medication regime remains appropriate, are essential. The development and rapid uptake of electronic patient records – particularly in primary care settings where the majority of prescribing takes place – makes monitoring of patients more straightforward than in the past; and allows identification of sub-groups of patients at particularly high risk of adverse drug events and complications. It also facilitates ‘deprescribing’ the process by which medications are reviewed and stopped if not clinically beneficial. In recent years, we have also seen the development of smartphone ‘apps’ to improve communication between patients and healthcare professionals, improve people’s understanding of their conditions and their treatment, and maintain a record of changes made to patient’s medication. In the longer term, developments such as the introduction of artificial intelligence and clinical decision support systems also have the potential to improve prescribing and minimise the risks from polypharmacy. Finally, there is considerable scope to improve the quality of prescribing and reduce risks from poly-pharmacy using non-medical groups such as pharmacists, specialist nurses and physician assistants.